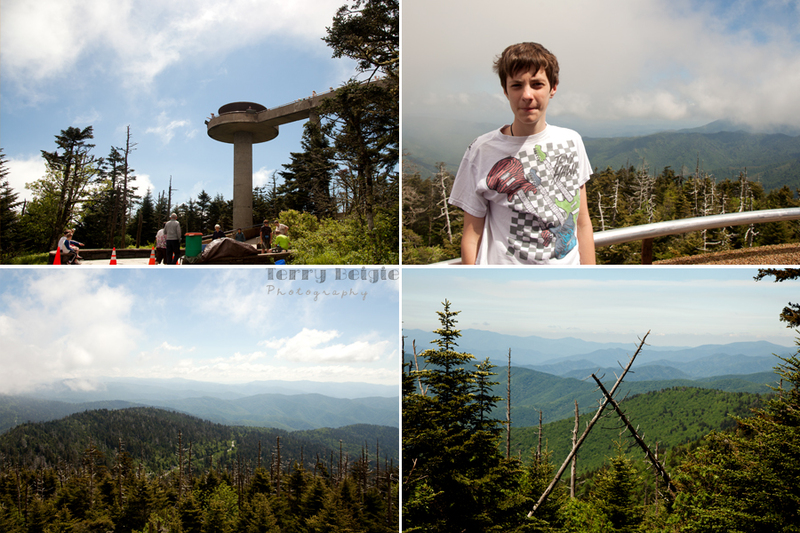 Clingmans Dome is the highest point along the Appalachian Trail, it’s the highest peak in Tennessee and third highest in North Carolina (and the East). 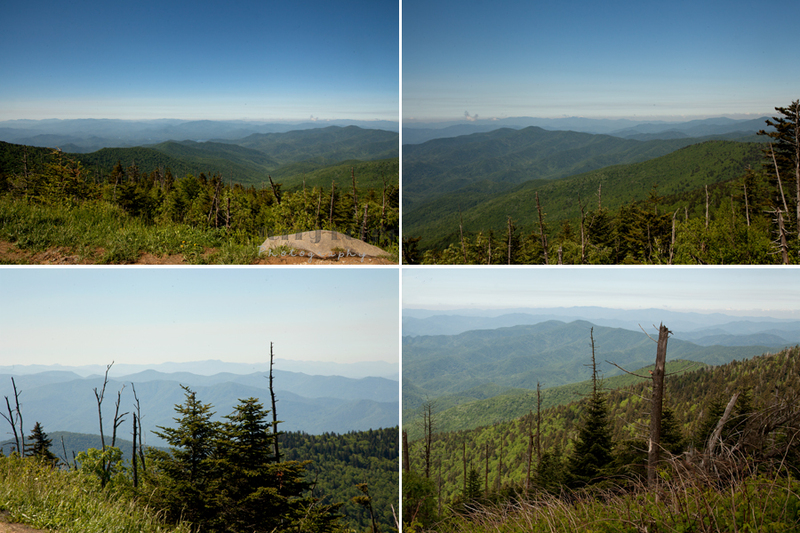 The peak is 6,643 above sea level and on a clear day you can see into 5 states (I’ll have to take their word for it). While we stood on the observation tower a cloud went by us, marking something off my daughter’s bucket list! It was at least 20 degrees colder up there than our cabin, and we weren’t at all prepared for that! But, being as out of shape as I am I had a tough time walking that STEEP climb from the parking area to the observation tower so I was plenty hot. 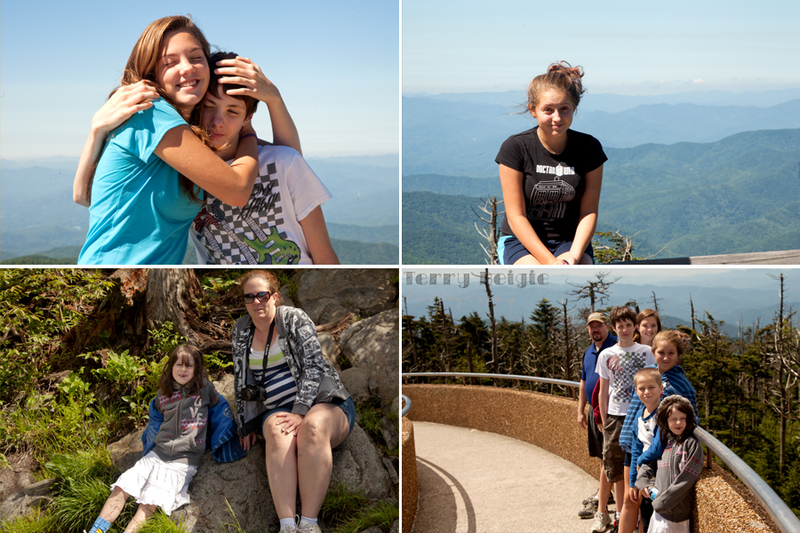 The kids, however, made it up there about 20 minutes faster than me so they were chilly. HA! The views were just breathtaking though! And the photo on the left, below, that is my children totally unscripted. It’s proof they do love each other! Yes, I did blow it up and frame it! Below, right, my son is like take the photo already I’m freezing! I did stop at another pull off on the way back down and couldn’t resist standing in two states at once! While hubs cheesed it up for me at another overlook!